Discussion in 'Omega Ruby and Alpha Sapphire' started by May, Jul 11, 2014. 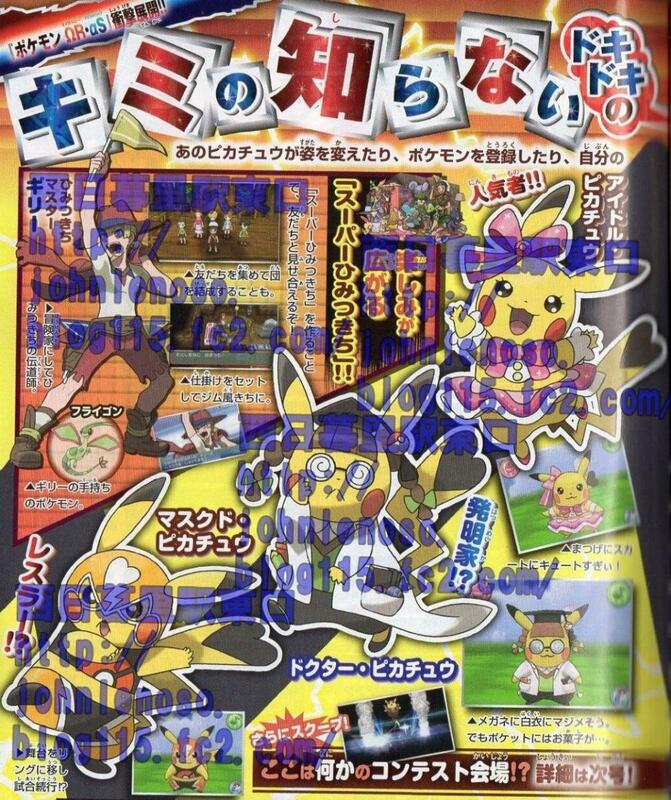 Finally some new pages of CoroCoro are available!! 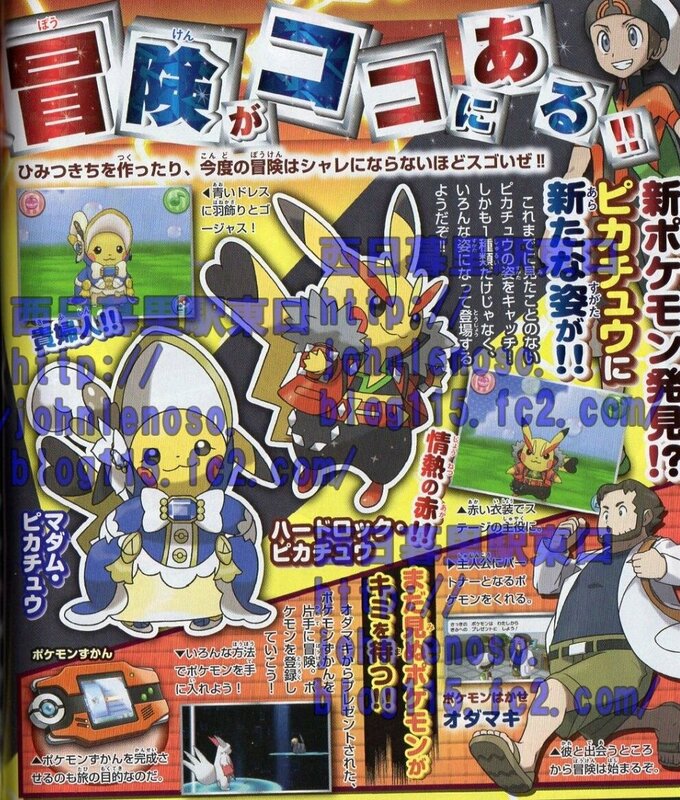 In the first two pages, we can see the new version of the Pokédex (similar to the Game Boy Advance), the Professor Birch and various Pikachu in costumes (related to the contests). In the images we can see the costumes of: Madame Pikachu, Hard Rock Pikachu, Masked Pikachu, Doctor Pikachu and Idol Pikachu. The Pokémon Amie (or something similar) will make its return. The magazine promosed to reveal more about the contests in the next issue. 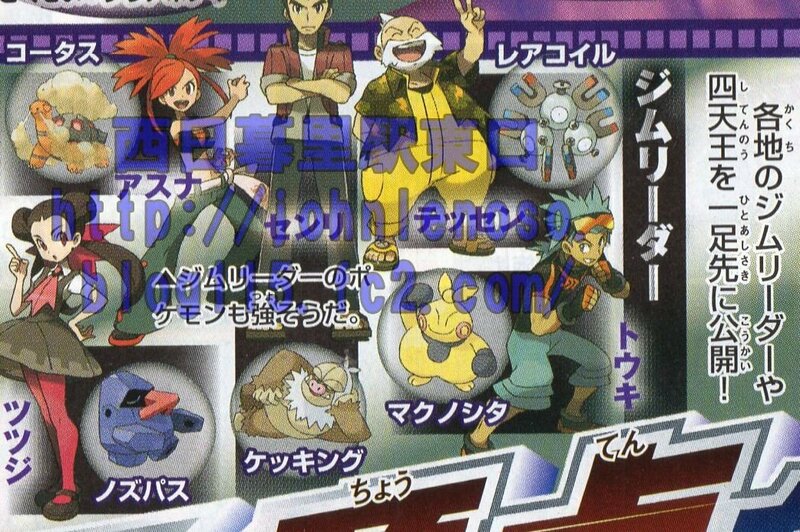 In this two pages we can see the new artworks of the Gym Leaders (Roxanne, Brawly, Wattson, Flannery and Norman), the Elite Four (Sidney (NOTE: he has a Key Stone! Mega Shiftry confirmed??) 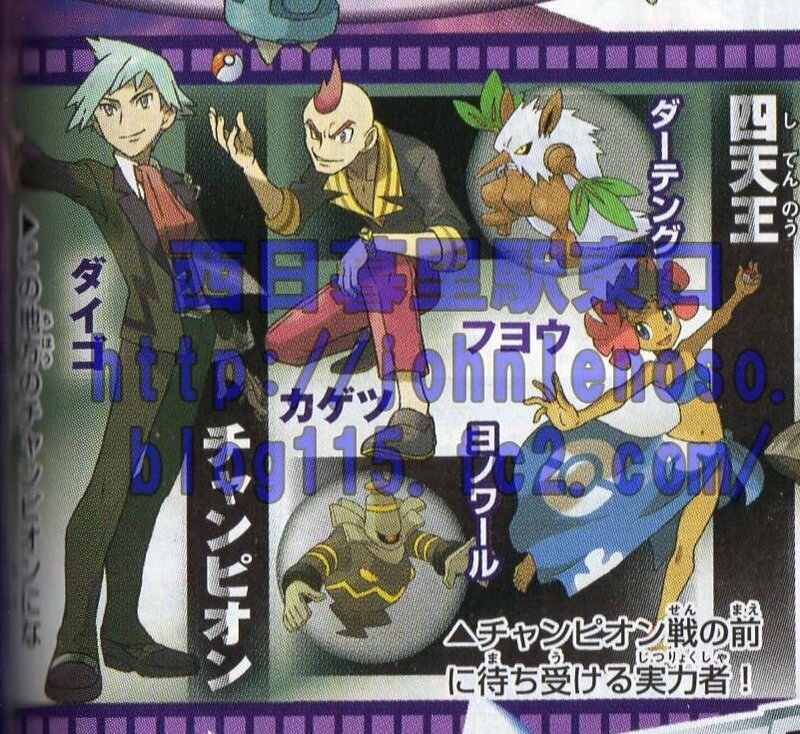 and Phoebe) plus the Champion: Steven Stone. 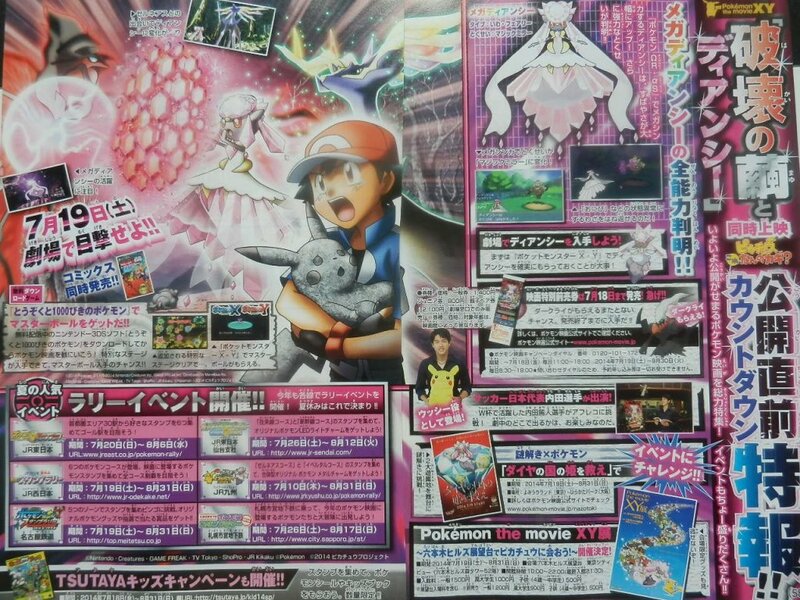 In the last page we can see Mega Diancie and the magazine revealed its ability. Mega Diancie will have the ability Magic Bounce. In the next issue there will be more informations about the contests and a Mega Evolution Scoop.